The young immigrant couple had just left the courthouse after being sworn in as American citizens. "It is wonderful," the husband exclaimed. "We are American citizens at last! Do you know what this means to us my dear wife?" 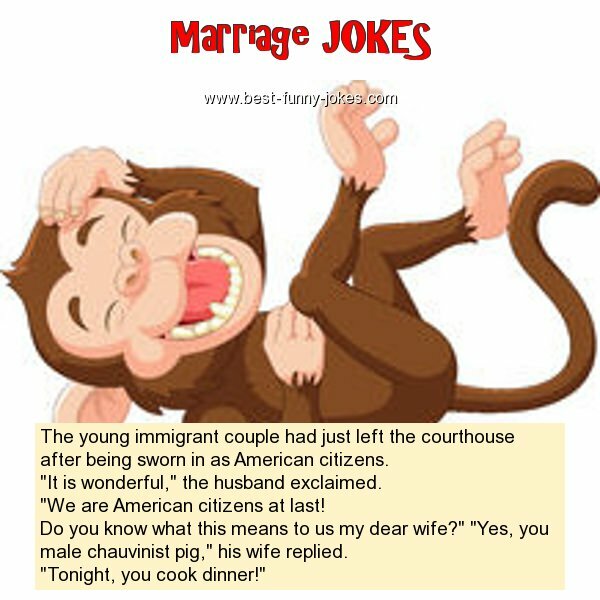 "Yes, you male chauvinist pig," his wife replied.